Dr. Tony Báez is currently the Executive Director of the Council for the Spanish Speaking, Inc. in Milwaukee. Established in 1964, the Council is the oldest Hispanic community-based organization in the city. It serves over 15,000 low income individuals annually; approximately 80% are Latinos, and many are recent immigrants. Its programs include Head Start and parenting; an alternative high school; bilingual adult learning/ESL and pre-employment workforce development; subsidized elderly housing; foreclosure counseling; immigration; health education; civic engagement and mobilization; and a comprehensive bilingual social services program. The Council has four annual events: the Thanksgiving Food Drive (over 5,000 impacted- 2010); El Día del Niño (over 1200 attended in 2010);the Dual Language Bilingual Enrichment Conference; and its Educating and Graduating Latino Students National Conference. The Council is also very involved in advocacy in all matters affecting Latinos. Dr. Baez’ has also built partnerships with other organizations. 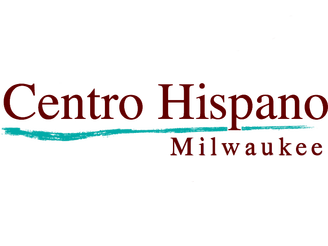 In Milwaukee alone, organizations with offices in the Council’s buildings provide services in areas such as legal counseling/representation; advocacy on behalf of Latino professionals; assistance to Latino entrepreneurs; assistance to Latino families with disable children; a food pantry; Latino health advocacy; transitional housing for the homeless; and bilingual professional development. Dr. Báez is a former Provost and Chief Academic Officer of the Milwaukee Area Technical College (MATC) in Wisconsin, one of the largest urban technical colleges in the U.S. During his twelve years at MATC, he also served as Assistant to the President, Associate Dean of Pre-college Programs, Dean of Liberal Arts and Sciences, and Director of Research, Planning and Development. He also served as Vice-President and Dean of Faculty at Hostos Community College in the Bronx, New York. For the past 42 years, Dr. Báez has been a strong advocate of Latino civil rights issues at the national and local levels. He has taught and worked in the public schools, two-year colleges and at a major research university (UW-Milwaukee). He has directed community-based organizations and community-based alternative schools. Dr. Báez has been a leader in Latino race and ethnic collaboration and education; parent involvement in schools; at-risk youth issues; bilingual, multicultural, and dual language education; adult learning and ESL; and, has developed education plans for several large urban school districts in the U.S. He has also been involved in major bilingual and desegregation litigation as a resource to community groups and plaintiff’s attorneys and has done extensive research and writing on these subjects and other legal related issues. Lately he has been involved in enhancing the capacity of non profits to engage in economic development and better serve and engage in social change for people of color. In 2010, the Wisconsin Association for Bilingual Education created the “Tony Báez Leadership and Advocacy Award.” Annually, this award is given to a person who has excelled in advocacy for bilingual education and people of color. Dr. Báez has also traveled and spoken on educational issues in Puerto Rico, Cuba, Mexico, Costa Rica, Spain, Panamá, Germany and China. He also plays the guitar and promotes language and culture through his vocalization of Latino poetry, folklore and songs of social content. University of Wisconsin-Milwaukee, 1995, Ph.D. in Urban Education – specialization in urban education issues, bilingual education and equity issues in education. [Dissertation: From Transformative School Goals to Assimilationist and Remedial Bilingual Education: A Critical Review of Key Precedent-Setting Hispanic Bilingual Litigation Decided By Federal Courts between 1974 and 1983. This dissertation was the recipient of UW-Milwaukee’s Urban Education Program’s Meritorious Dissertation Award. University of Wisconsin-Milwaukee, 1971 to 1973, B.S. Elementary Education; major in curriculum development. University of Puerto Rico, 1966 to 1969, No degree completed –moved to United States. Dr. Báez has been the Council's President/CEO since July 2006.